If you are undergoing treatment for cancer, particularly the use of chemotherapy or radiation, you should ensure you visit your dentist in Toorak as early as possible. Our Toorak dentists at Simply Smiles Dental know what you are going through as we see patients in your situation often. It is important that you receive dental care before and during your treatment as this will prevent serious oral complications later on. The problem with some cancer treatments is that they can negatively affect tissues in the mouth but these effects can be minimised by following a careful dental care program in Toorak that we can provide for you. First of all, though, we will need to conduct a thorough oral examination which will allow for a detailed assessment of your oral health. We will also contact your doctor for information about your proposed cancer treatment so that we know what dental treatment options are best for you. Reduce your risk of developing oral complications. Allow us to identify and treat any existing infections whilst minimising the possibility of serious infections developing. Help to prevent, eliminate, or reduce oral pain. Help to ensure you are eating nutritional food. Overall it will improve your health outcomes and saves lengthy and costly treatment later on. What Happens After an Oral Evaluation? Once we have compiled an assessment of your teeth we will suggest dental treatment options before your cancer treatment begins. These should take place at least one month before your cancer treatment commences so that you can recover from the effects of the treatment. This may include restoring old fillings, repairing broken or cracked teeth, and treating periodontal disease if it is in evidence. If there are any areas in your teeth that could be the source of infection at a later date these will be stabilised. We may suggest the use of fluoride gel which is applied through the use of a gel-applicator tray. This involves spending 10 minutes per day using the applicator a few days before radiation therapy starts. If you don’t feel comfortable with this we can recommend and provide a fluoride gel that you can brush onto your teeth after you have completed your routine brush and floss. We will also advise you how important oral hygiene is during treatment and by ensuring you have sufficient nutrition, and avoid tobacco and alcohol you may minimise or even prevent oral complications. Use an extra soft toothbrush and fluoride-based toothpaste. Brush your teeth, gums, and tongue gently following each meal and before going to bed. Floss your teeth gently each day but if any of your gums feel sore or start to bleed only floss those that don’t hurt. Use fluoride gel as directed. Rinse your mouth with a baking soda and salt solution, followed by a rinse in ordinary water several times a day. Don’t consume things containing sugar such as confectionery and soft drinks. There are sugar free alternatives available. Do avoid acidic (e.g. citrus fruit) or spicy foods, alcohol and tobacco. Finally, make sure you keep your appointments with us so that any alterations to your dental care can be made as soon as possible. 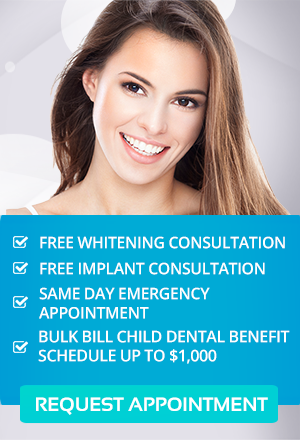 As a Members Choice dentist for Medibank and HCF, we can offer maximum rebates on dental treatment for members. Contact our Toorak Dental Office.